How can conservative Republicans in Texas go along with a guy like Joe Straus after knowing the liberal history of Joe Straus and how he betrayed Republicans? On Jan 8th, 2013 I hope that the Republicans in the Texas House of Representatives will stand up and select a more conservative Speaker of the House. · With a 76-74 GOP majority in the House in 2009, Straus’ committee chairs averaged a 43 on the Young Conservatives of Texas ratings. · With a GOP supermajority in the House in 2011, Straus’ committee chairs averaged a 57 on the Young Conservatives of Texas ratings. · Of those listed above, none were appointed to the Appropriations, Calendars, Higher Education, Public Education, Licensing and Administrative Procedures, House Administration, Redistricting, State Affairs, or Transportation Committee. Only one was appointed to the Ways & Means Committee. o Appropriations transparency bill, HB 2804 by Cain, et. al. o Constitutional amendment requiring 2/3 majority to raise taxes, HJR 37 by Bryan Hughes et. al. · Straus confidant Jim Keffer opposes property tax reform (www.texastaxtruth.com), despite the State Republican Party Platform calls to abolish property taxes (page 18). Keffer is the author of a bill to impose a payroll tax in Texas (HB 3, 79th Legislature), and of the now defunct Gross Margins Tax (HB 3, 79th Legislature, 3rd Called). · Despite a supermajority of Republicans, the House failed to pass spending limits. · Hispanic conservatives were drawn out of GOP-friendly House districts, including Raul Torres of Corpus Christi, Aaron Pena of Edinburg and Jose Aliseda. 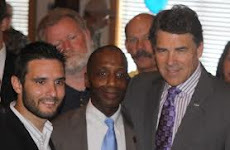 · Five of Straus’ committee chairs suffered defeat in the 2012 primaries. Vicki Truitt, Rob Eissler, and Mike “Tuffy” Hamilton were defeated outright in the primary. Sid Miller and Chuck Hopson were defeated in the runoff.